Lenovo IdeaPad A10 is one of the best choices available on the market for customers who can`t decide if they want a tablet or a regular laptop. 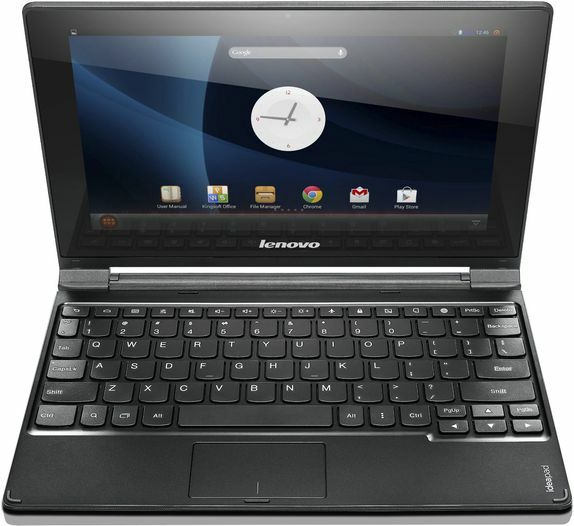 It was released back in October 2013 and it was the very first Lenovo laptop to run the Android OS. The operating system makes this device a good choice for people who like Android more than Windows OS. Despite the fact that it has some great features, after a period of time, this laptop starts to work slower than usual, or even freeze when the user opens some applications. If your device starts to work like that, you should keep in mind that you may need to hard reset the Lenovo IdeaPad A10 to factory mode. This device is a great choice when it comes to browsing through the finest selection of portable laptops. It has a 10.1 inch multi touch display with a resolution of 1366 x 768. Furthermore, it has a Quad-Core processor of 1.6 Ghz Rockchip RK3188 RK3188 Cortex-A9 and its RAM memory is of 2 GB. Its internal memory is of 16 GB SSD, but you can choose the version with 32 GB SSD. It has an Android 4.2 operating system, which has some custom software made by Lenovo. Make sure your device is shut down. Press and hold these keys: Volume Up + Volume Down + Power button in order to turn on the device in recovery mode. After the device is powered on, release the keys. Using the Volume Up and Volume Down buttons, scroll through options until you see the recovery mode option. Select this step by pressing the Power button. Keep pressing the Power button and press the Volume Up key. Select Wipe data/ Factory reset by pressing the Power button and your device will perform soon be as new. I tried those doesn’t work. This type of method works for try it…. Press the power button+search button+R key for three seconds and release the power button only and then release other keys. use volume up and down to scroll option and then power button for select.